In the ever-increasing toxic world we live in, which is upsetting the balance of the ecosystem leading to climate change on a global level and premature decline in individual's healthy functions, there is a greater need than ever to look for alternatives to chemicals and seek out natural options for our loving pets. ​Herbal Pet Care is a collaborative project between Yo San University of Traditional Chinese Medicine* and Voice for the Animals*, both nonprofit organizations. It was conceived to bring natural care and restore the vitality to pets which are part of our human family. ​The herbal formulations come from thousands of years of experience in caring for animals in the Chinese medicine tradition. Thank you for taking care of animals while caring for the planet. *Net proceeds go to support the work of these two organizations. Yo San University, a non­profit 501c3 organization, educates students to become exceptional practitioners of Traditional Chinese Medicine and the Taoist healing arts. The school facilitates the development of students’ spiritual and professional growth, and provides the community with integrative medical care and services. 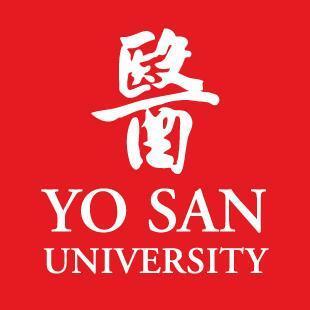 Yo San University was founded by brothers Dr. Daoshing Ni and Dr. Mao Shing Ni, who named the University after their grandfather, Master Yo-San Ni, a healer and teacher in the Taoist tradition. The Ni family enjoys a rare, unbroken lineage of 38 generations of Traditional Chinese Medicine practitioners. YSU was established to carry on this lineage; to promote standards of educational excellence in the field of Traditional Chinese Medicine; and to establish a program in this country that fosters the medicine’s Taoist roots. Students at Yo San University come from around the globe and bring a richness of experience and perspective to every class. The Yo San University Community Clinic not only serves as a training center for its students, but also provides residents of the West Los Angeles area with affordable acupuncture and TCM. Yo San Community Outreach clinics operate free acupuncture treatment programs in Venice Family Clinic, Being Alive (for HIV patients), Wise and Healthy Aging Center, USC Wellness Center and Children's Hospital which also serve as training sites for it's interns. Voice for the Animals Foundation is devoted to creating respect and empathy for animals through education, rescue, legislation and advocacy. It is a 501c3, non-profit charitable foundation. Voice For The Animals was founded by Melya Kaplan in 1999. Melya was inspired to start Voice For The Animals when she realized that, although there were many great rescuers, there was a dire need for a new type of animal protection organization with programs to empower people to help more animals. Programs like the Hotline where the public can call, talk to a live person and receive help; like the Humane Education Program which educates students on compassion; like the Helping Friends Program which provides food and vet care to people so they can keep their animals; like the Working Cats Program which rescues feral cats and places them as rodent control; like the Abuse Prevention Program which partners with city agencies to stop animal abuse; like the Animal Film Program which makes films about animal issues; and like the VFTA Worldwide Program which has begun in Greece to train the Hellenic police to investigate animal abuse. VFTA prides itself on its excellence, significance and leadership in the community. It was founded on a belief in the sacredness of all life and seek to eliminate situations where animals are neglected or destroyed. The Commendation of Excellence we received from the City of Los Angeles in 2010 stated, "Through its steadfast ways and caring deeds VFTA has helped make our world a better home for all living things." We also have received a Certificate of Appreciation from the City Council (1996) for VFTA's "tireless work on behalf of the animals in the city of Los Angeles."